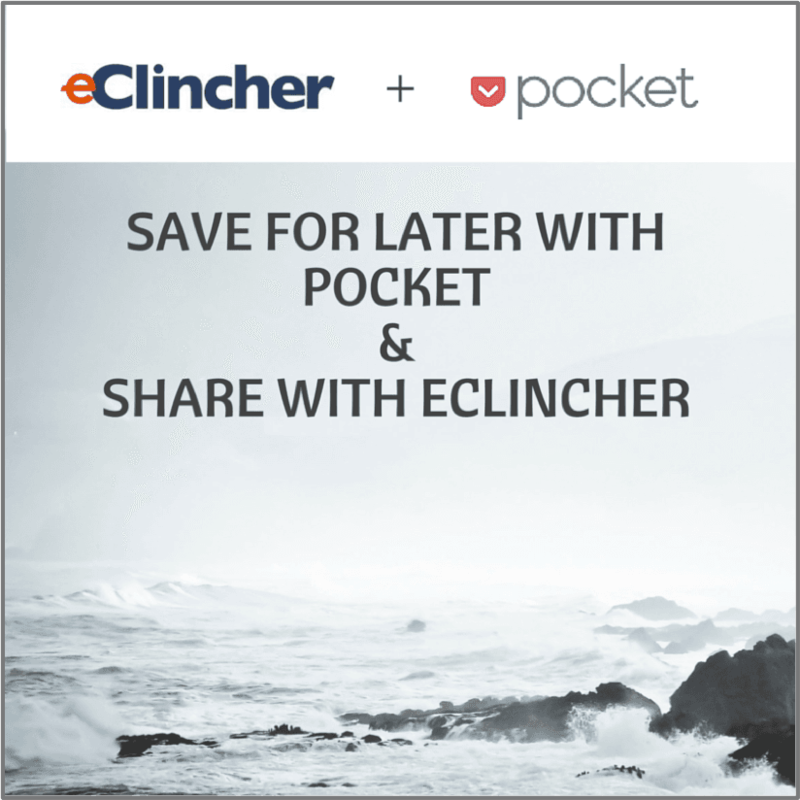 We are happy to announce that we have partnered with pocket to make it easier than ever for you to save and share content. 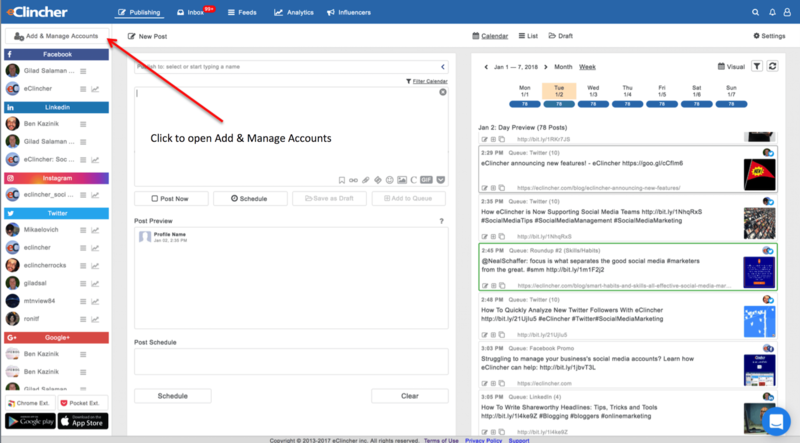 This partnership is a major addition to eClincher and we are excited to see how it improves your experience with our tool. Check out our Pocket integration! Pocket save interesting articles, videos and more from the web for later enjoyment. 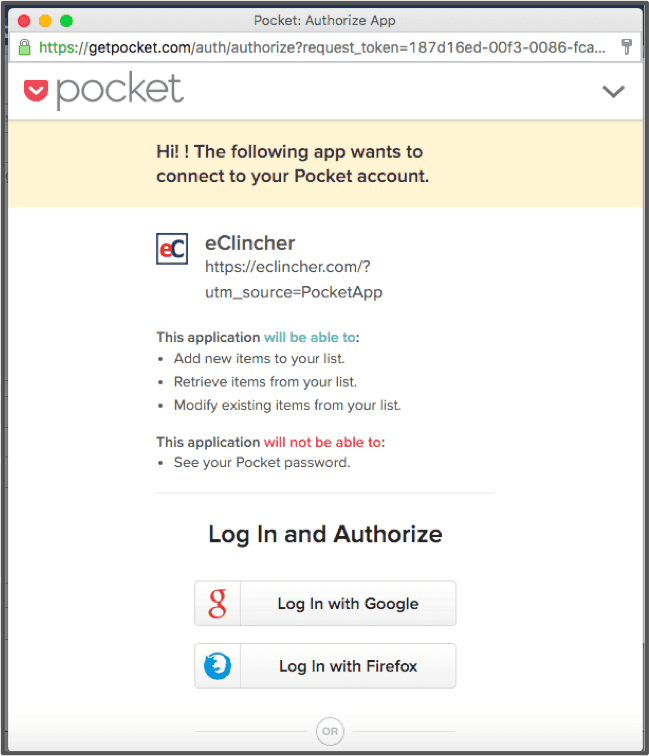 Once saved to Pocket, the list of content is visible on any device — phone, tablet or computer and within eClincher. 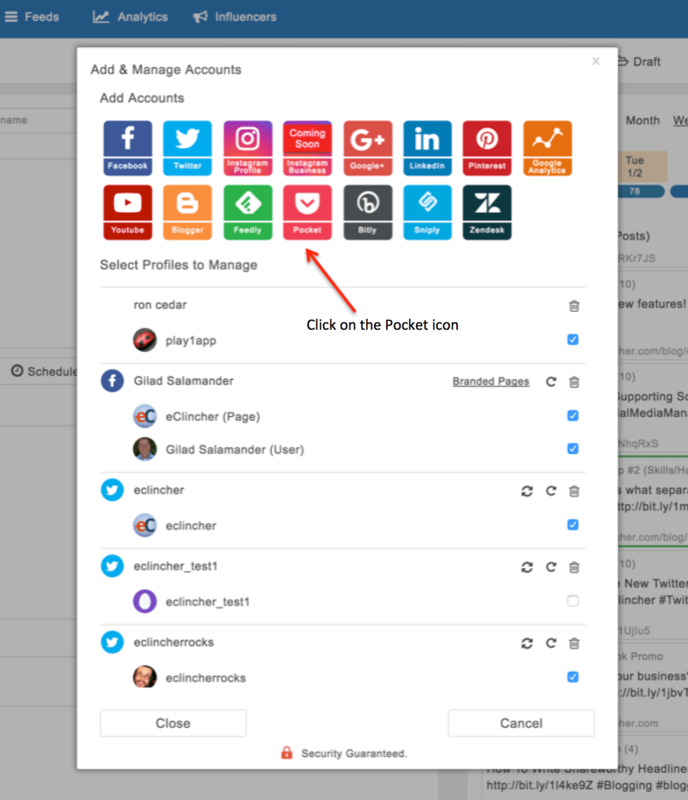 Pocket is the world’s leading save-for-later service and integrated into more than 1500 apps including Flipboard, Twitter, etc. It is available for major devices and platforms including iPad, iPhone, Android, Mac, Kindle Fire, Kobo, Google Chrome, Safari, Firefox, Opera and Windows. Once you add your Pocket account, you will access it in the Publishing tab. 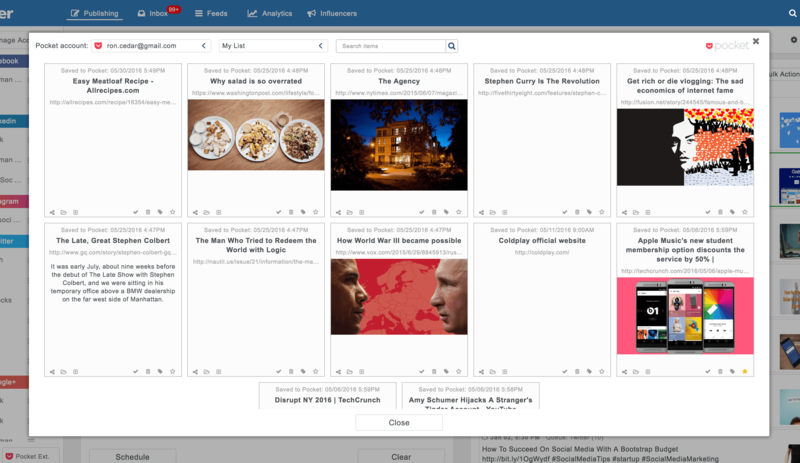 Once you click on pocket button, you will have access to all of your save-for-later content. Mobile? Take Pocket with you. Available on iPhone, iPad, Android, and Kindle Fire.